Ride the trail through Half Moon Meadow until you get to Reed Farm Road on the other side. This trail is fairly flat with a few bridges as technical challenges. Next trail section is Hager Hill which includes a nice climb. After that Beaver Brook and Steele Farm which has a nice downhill and single track climb to Hill Rd. Cross Hill Rd into the Have Not Pond area. The trail runs through a meadow and past a pond into the woods. 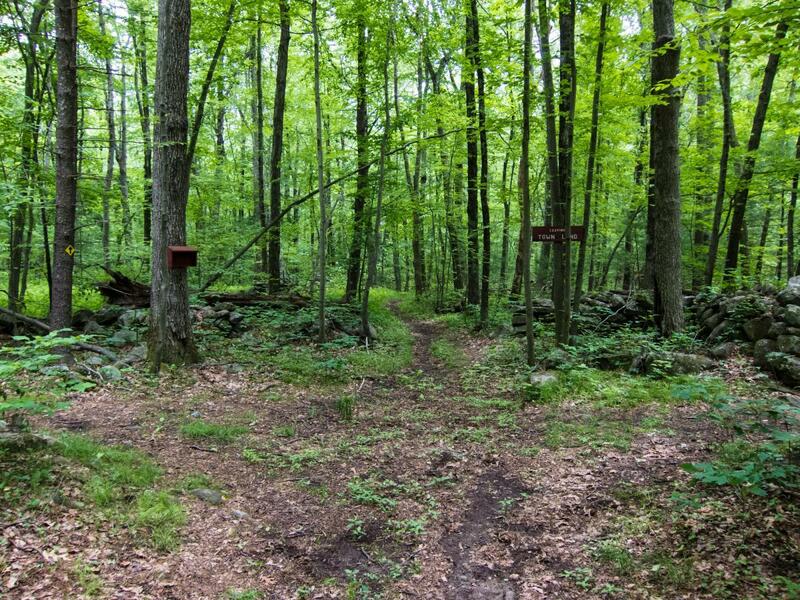 Do not turn into the Fisk Woods trail but follow yellow blazes and keep left. After passing along I-495 and through a few gates you'll get back onto Hill Rd. Ride that road to Patch Hill conservation land. Follow the dirt road and take a left at the end onto a single track. After the downhill and crossing 2 short bridges there is another climb. Follow either the red or the blue blazed trail back to road. Shortly before getting out you'll have to navigate some mud and rocks which is the most technical part of this ride. To get back to the Half Moon Meadow trailhead take a left onto Depot Rd, then the next right onto Liberty Square Rd and the next left onto Sargent Rd. Boxboro Trail link-up MTB Trail 0.00 out of 5 based on 0 ratings. 0 user reviews.